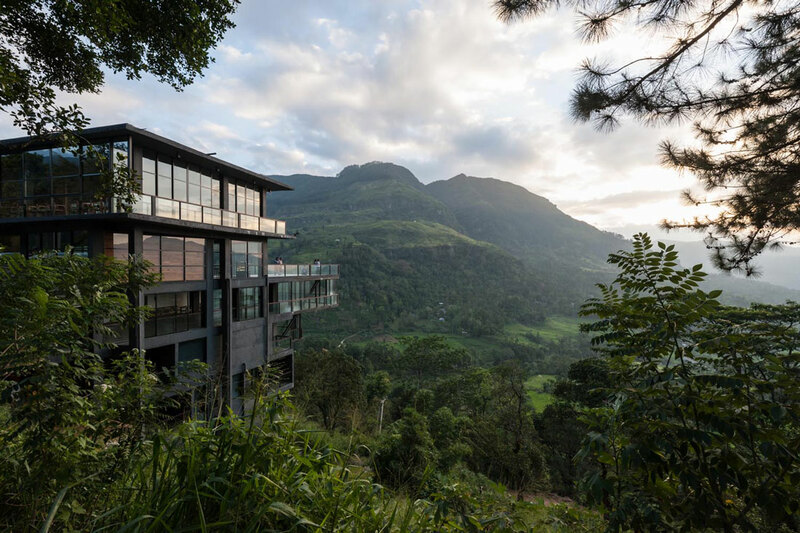 “The site is the generator of all our ideas,” Sri Lankan architect and INDE.Awards 2019 Ambassador Palinda Kannangara shares about expressing the spirit of the place with architecture. 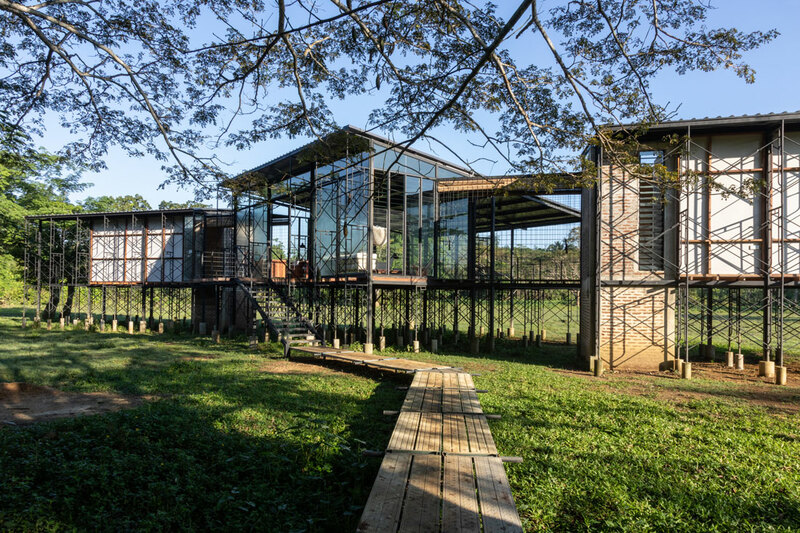 This design approach is apparent in PKA’s acclaimed 2017 residential project, the Artists’ Retreat at Pittugala. The project took home the Honourable Mention in the ‘Living Space’ category at INDE.Awards 2018. Hailed by the INDE.Awards 2018 jury as “a magical place born of a singular vision and clever design”, the Artists’ Retreat at Pittugala is a residence of contemporary Sri Lankan artist JC Rathnayake and his artist-printmaker wife Tanuja that also functions as a workshop, art storage space and a gallery. 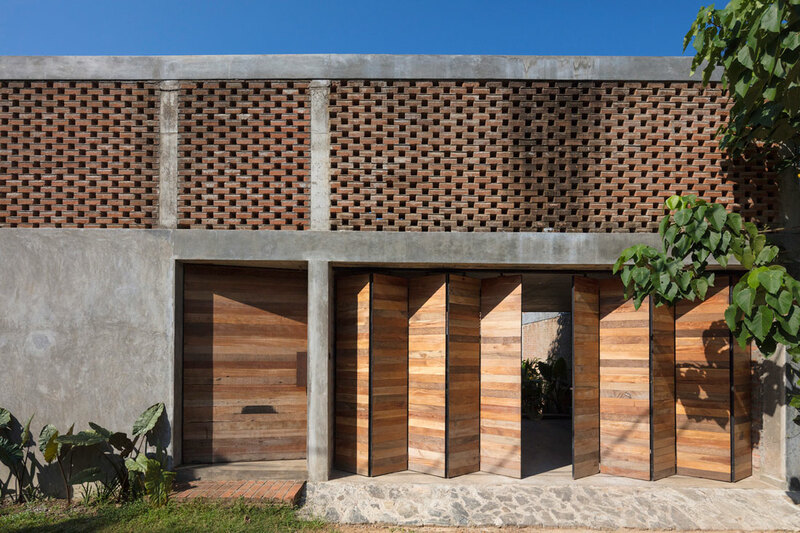 The house was built over three years with a modest budget of 65,000 USD. 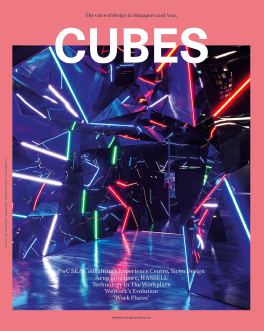 “Our architecture is always an intuitive reading of the site,” explains Kannangara. 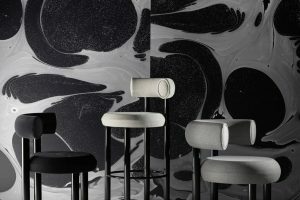 This understanding is developed through a series of studies, physical models made in the office, and detailed drawings and sketches made on site. 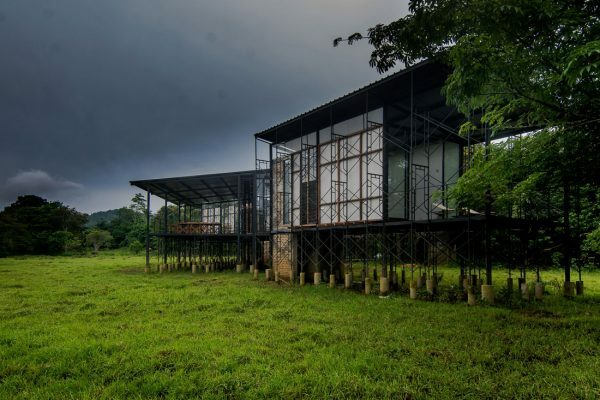 The Artists’ Retreat at Pittugala sits on a 3,700-sqft sloping site flanked by paddy fields and a busy expressway. The sloping terrain provided an opportunity to create split-level zoning, avoiding costly cut-and fill processes. 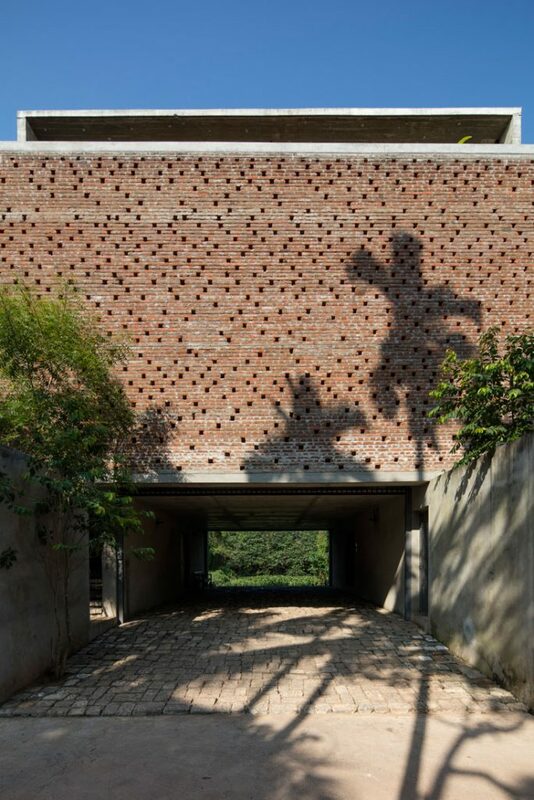 Spaces unfold between brick walls both solid and perforated, creating effective passive ventilation. 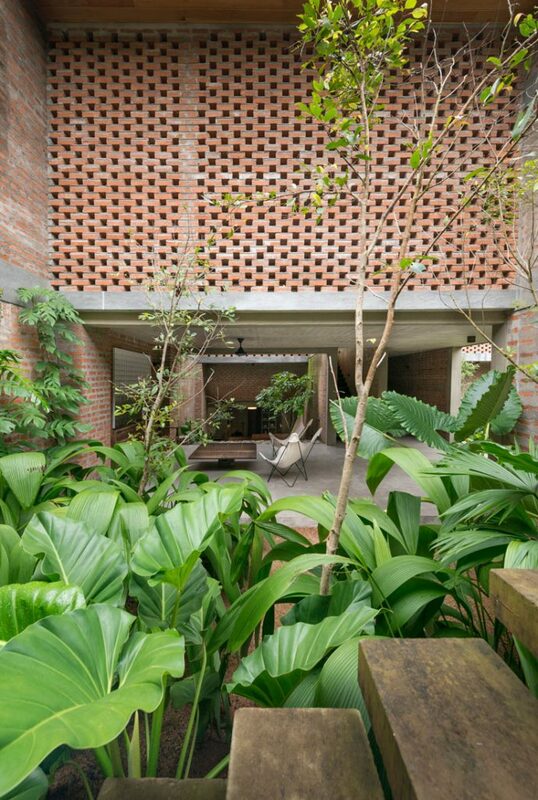 A lush courtyard garden serves as both a private oasis and a buffer for the noise coming from the expressway. 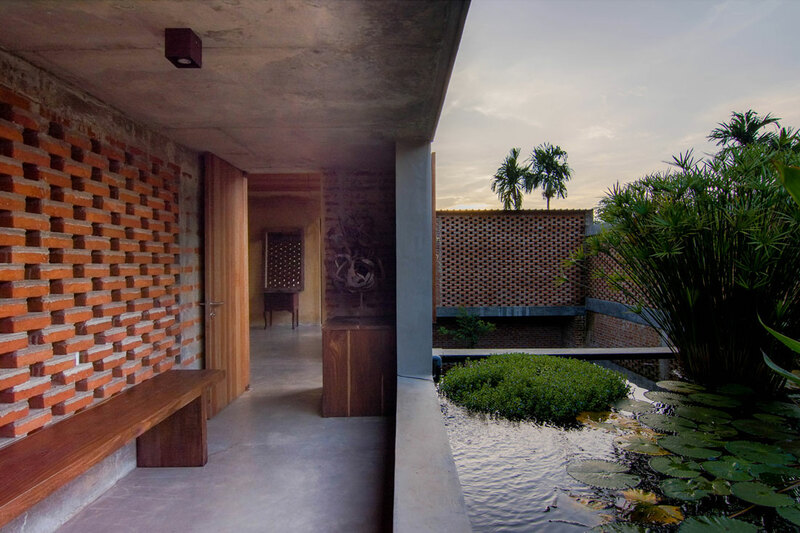 The entire ground floor, which is dedicated to the workshop, living and gallery area, is roofed but open to the elements, doing away with doors, windows and glass while the upper floor houses three bedrooms and a lily pond that serves as a meditative zone. 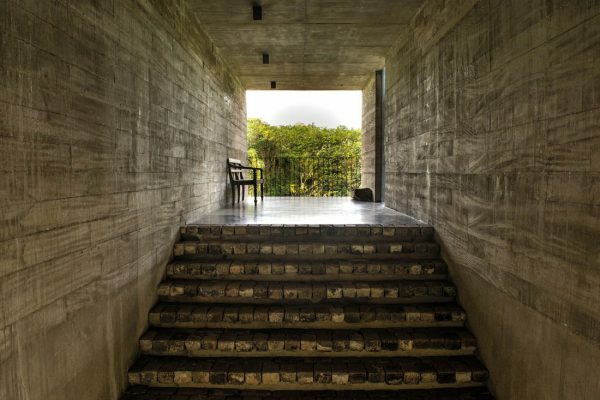 Meanwhile, wide steps inspired by Sri Lankan monastic gardens lead to a studio with a high ceiling where large-scale paintings and sculptures dwell. 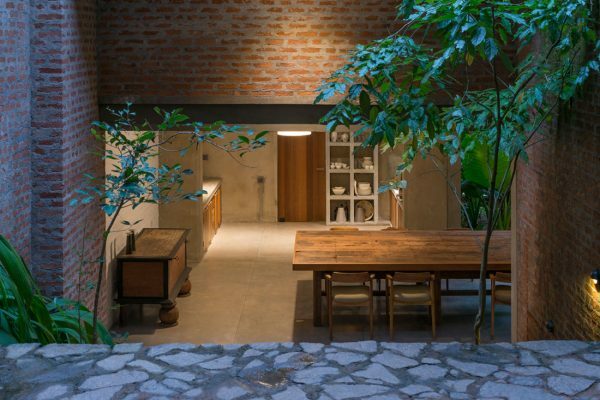 The wabi-sabi quality that permeates the residence emerged from its material palette, which comprised locally available and hand-built materials. Only the studio wall has been finished with paint to achieve the light quality required for painting. Elsewhere, the brickwork is plastered with earth or left raw. Flooring is cut cement. The woods are reclaimed. 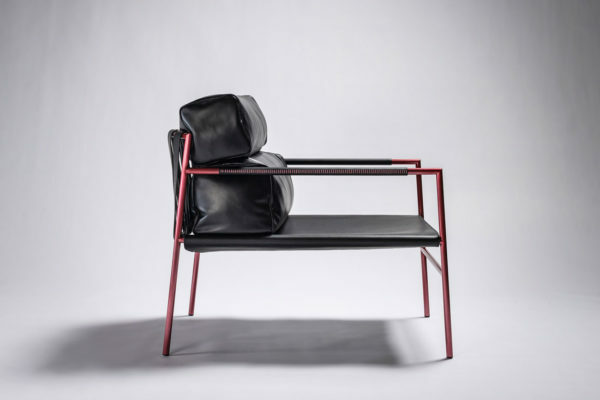 The furniture pieces are repurposed and upcycled. The building process was personal and collaborative, with the clients managing the project, working with a local workman and hand-building several elements themselves. Colombo-born Kannangara had completed a degree in mathematics before he found his calling in architecture. 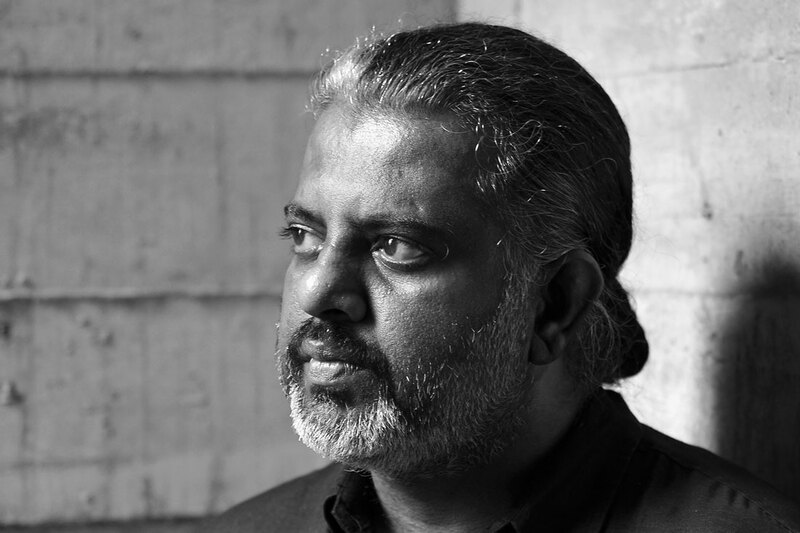 He enrolled in a course conducted by the Sri Lanka Institute of Architects and received his charter in 2004. He established PKA the following year and has kept the practice small and its service personalised since then. 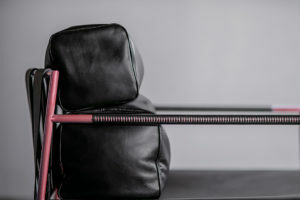 PKA is a team of nine people (with the occasional addition of one or two interns) operating from Kannangara’s home and office by a marsh in Rajagiriya, one of the larger suburbs bordering Colombo. Dubbed the Studio Dwelling at Rajagiriya, the award-winning four-storey building completed in 2015 is a haven to work and live in, featuring a cool microclimate. 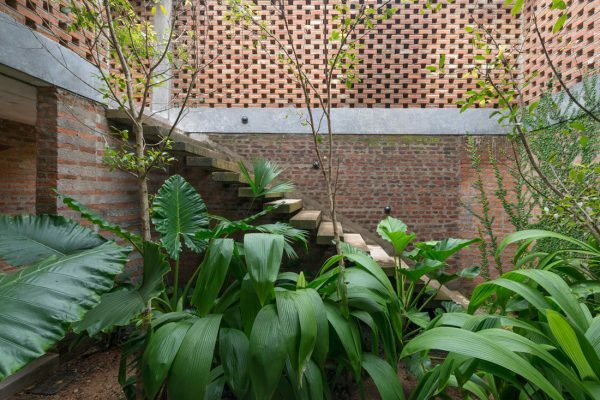 It is sealed from Sri Lanka’s heat with perforated brick walls to the west and south and kept permeable to the views of the marsh on the other sides. 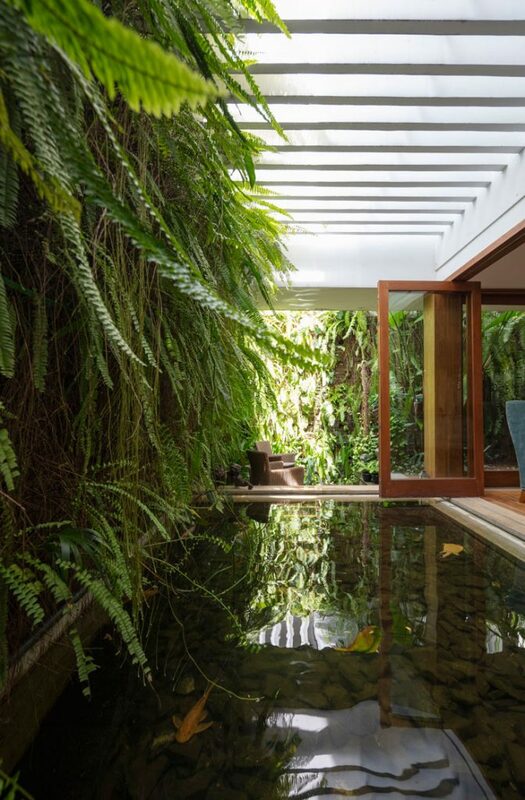 Its garden sponges off water during the monsoon season, sparing the interiors from flooding. 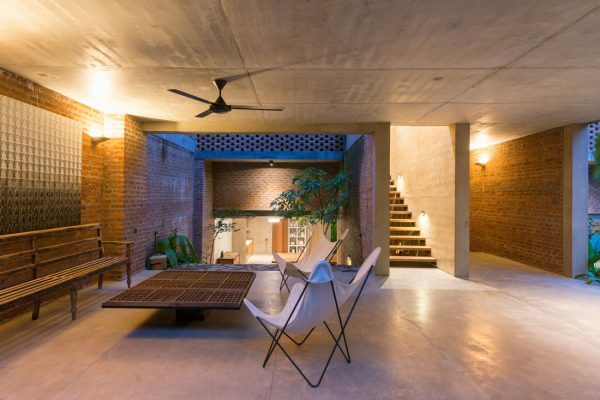 The interior palette is minimal, featuring board-marked concrete, wood and brick. 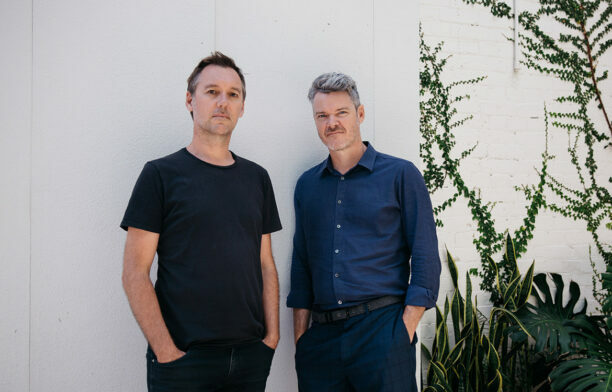 “We believe in an architecture that is about the process of reduction; of using available resources wisely and consciously, especially in our tiny island country; of ‘de-cluttering’ both visually and physically; and of course respecting the environment. 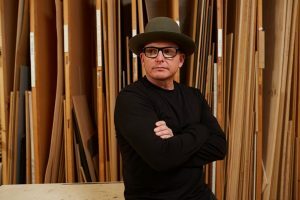 The ethics of minimalism and environmentalism which are part of the Sri Lankan ethos are also vital to our works,” he says. These themes are apparent in PKA’s recent works, which include the Urban Sanctum at Colombo and Frame at Immaduwa. The latter is a home for a jazz drummer and ethnomusicologist that features an exoskeleton built with scaffolding. 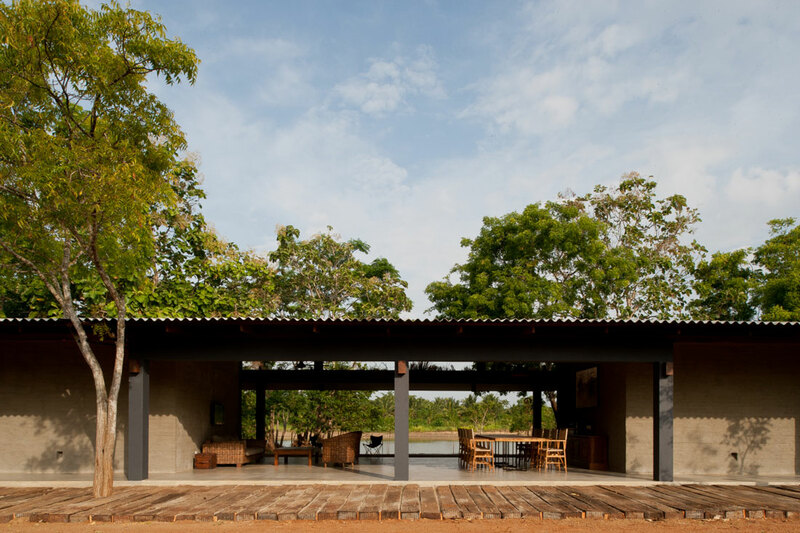 It sits gently on the client’s ancestral agricultural lands that had been abandoned for several years due to flooding. Although small, Sri Lanka is blessed with biodiversity and has a relatively untouched natural landscape. This, Kannangara believes, provides architects and designers with an opportunity to work across various environmental conditions while pushing them to be wise with their limited resources. The year 2018 was a year of recognition for PKA. 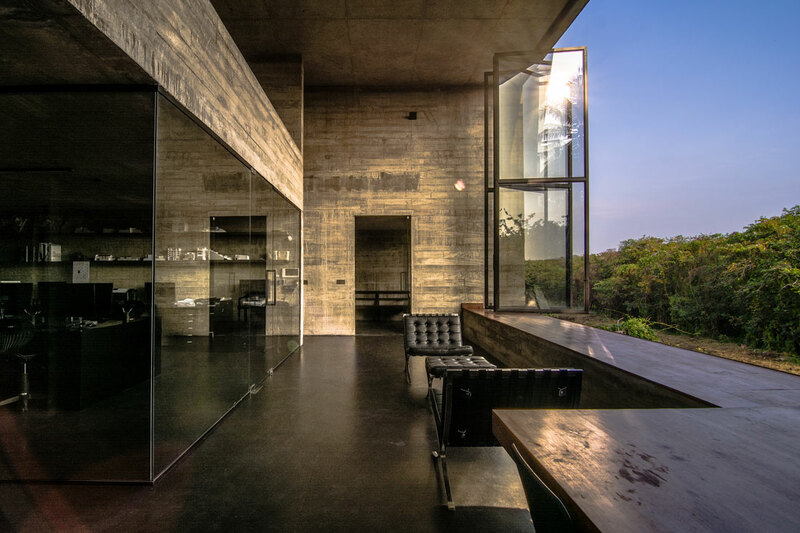 In addition to an Honourable Mention at INDE.Awards 2018, the Artists’ Retreat at Pittugala also received a commendation in Interior and Exterior Connections at Habitus House of the Year Award. Studio Dwelling was named one of the winners of RIBA Award for International Excellence. 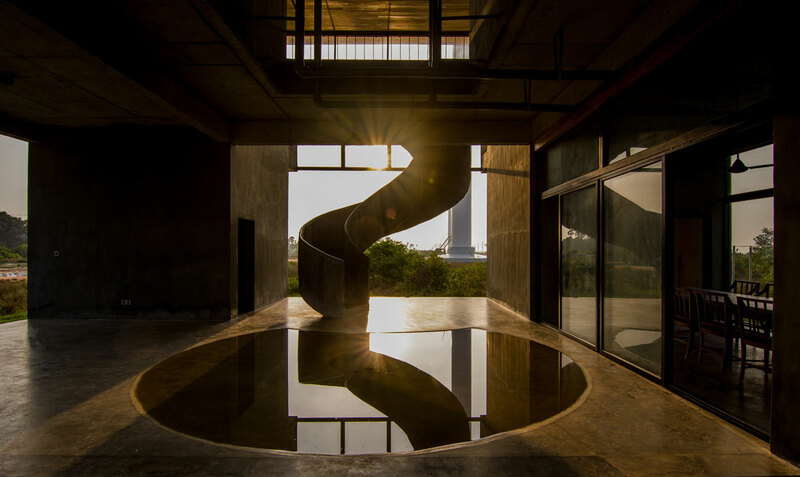 PKA was also won the Architect of the Year Award for Foreign Countries at JK AYA 2018 in India, which was presented by Pritzker laureate Balkrishna Doshi. Palinda Kannangara is one of our INDE.Awards 2019 Ambassadors. 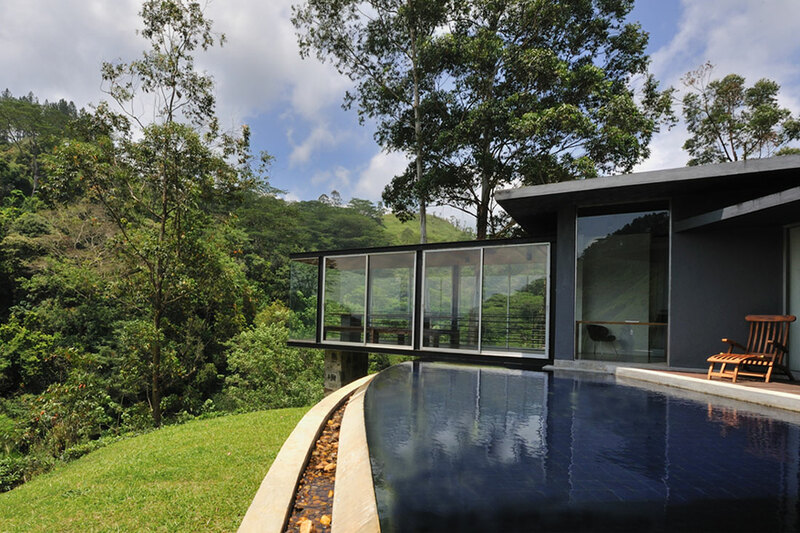 All images courtesy of Palinda Kannangara Architects. 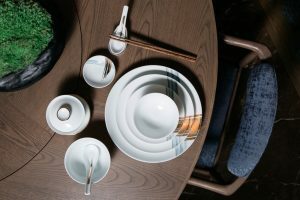 André Fu Living marks its debut furniture and homeware collection by André Fu himself, reflecting the designer’s ethos of ‘relaxed luxury’.